I've been after another pair of skater shoes for ages, so when I saw this pair reduced to just £7 in the Topshop sale I just had to get them. 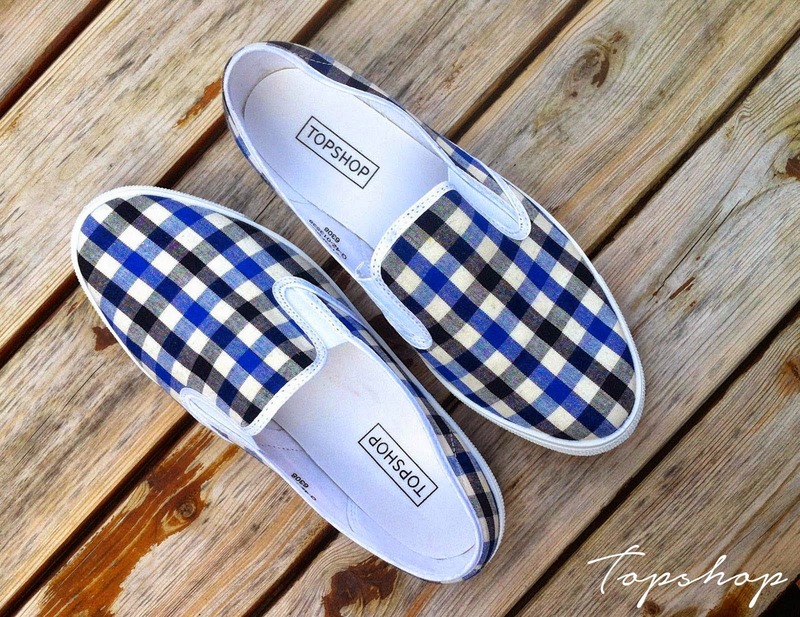 I love the checked style, and the comfort makes them perfect for those casual summer days. I'll be teaming mine with some boyfriend jeans and my new black bomber jacket that I picked up in H&M the other day - another staple steal! Love shoes like this! And these are perfect! What an awesome deal! I've been loving slip ons lately, and I think the plaid print looks great on this particular pair. I'm so jealous you found it at Topshop! I usually can't find anything I can afford there haha. Love them!